Elisabeth-Gateff-Prize 2010 - gfgenetik1s Jimdo-Page! 1999–2002 BSc (Vordiplom) Biochemistry and Philosophy, University of Tübingen. 2002–2004 MSc Biochemistry and Biophysics, Oregon State University, Corvallis, USA and FU Berlin. 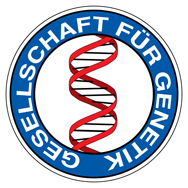 2004–2005 MSc thesis (Diplomarbeit) at the MPI for Plant Breeding Research, Cologne. 2005–2009 graduate student with PD Dr. A. Schnittger at the MPI for Plant Breeding Research, Cologne.